Those who have ever been interested in digital books will know about the ePUB format, the format in which these books are distributed and compatible with most of the market readers. Hence, today here in this post we will show 10 best ePUB readers for Windows PC. Those who have ever been interested in digital books will know about the ePUB format, the format in which these books are distributed and compatible with most of the market readers. Although the ePUB format is standard for this type of books, this is usually quite complicated to open in a computer, so to do this, we need to use specific software that allows us to open them, processes and facilitate the reading of these books. Hence, ePUB (Electronic PUBlication) is definitely the most widespread file format for use in ebooks, and the one that offers the best support for all the languages worldwide. And not only that even from the ePUB3 version, it also supports images, sounds, videos, and even vector graphics. However, now apart from all these things, there are many applications available that simply allow us to play electronic books, even allow us to convert them from one format to another simply to find the one that suits best our computer, electronic book or device on which we want to read. So, now without wasting much time let’s explore the list mentioned below. We all know very well that Adobe is undoutedly popular and well-known for its huge collection of tools and software. And Adobe Digital Editions is one of its great creations which is an ePUB reader for Windows that simply allow you to open and read eBooks. However, one of the best reasons to use Adobe Digital Editions is its compatibility with the ePUB 3 format (ePUB format also supported) that gives users a prosperous reading experience by providing support for right-to-left reading, dynamic image size change without loss of clarity, interactive tests, better representation of mathematical formulas, and much more extraordinary features. Moreover, Adobe Digital Editions also brings a lot of other handy features like rare search capabilities, bookmarks, highlighting, notes and much more. 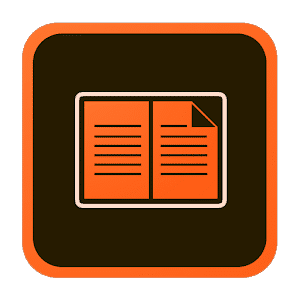 Hence, if you are looking for a complete ePUB reading experience, then undoubtedly the Adobe Digital Editions is the right application for you. Cover is a well-known application which is popular for its comics reading capabilities on Windows PC, but along with the support for comics, it also supports the well-known and most used ePUB format as well. The main reason why Cover is on the list is that, since the application is made for comics, it is ideal for reading books that have a lot of image load. While all other applications in the list can handle images, but the fact is that they can not offer the user experience like Cover offers. Hence, if you like books with lots of images then Cover will be a perfect option for you. Icecream Apps is an application studio that has some good collection of applications for Windows PC and among all those apps it has its own ePUB reader which has really good interface that brings a lot of features like full-screen mode, exceptional search capabilities, easy page change option, read progress tracking, support for multiple languages, and much more. In addition to all the above features, it also supports other important e-book formats like Mobi, FB2 and much more formats. 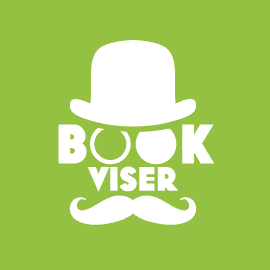 Bookviser Reader is a well-known ePUB reader for Windows that offer simply offers you a reading experience just like the reading physical books. It does this by designing its user interface in such a way that it looks like a real book. However, in case, If you do not like that user interface, you can easily access the settings to get a more traditional ePUB reader experience. Just like Amazon’s Kindle, Kobo is a well-known e-book reader application and also a service as well that simply allows you to buy books. However, unlike Amazon’s Kindle, which does not support the well-known ePUB format, Kobo supports both ePUB and ePUB 3 formats . The application brings all the usual features that we expect from an ePUB reader, such as search, bookmarks, read progress tracking and more. 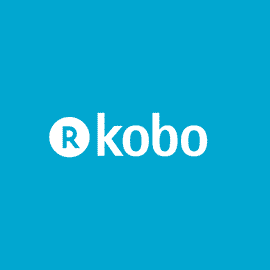 However, the main reason to make Kobo more than other readers of ePUBs is its store, which allows you to browse and buy among more than 5 million eBook. 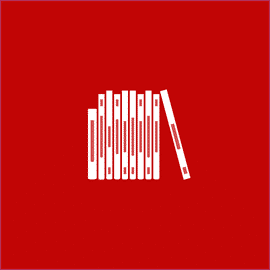 Freda is one of the most used ePUB readers available for Windows just because of its appearance, as the app simply looks like a native Windows 10 application which simply makes ePUBs really stand out when you read it. 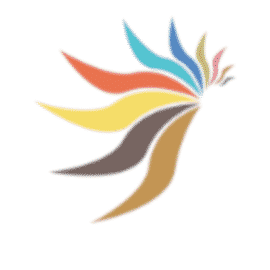 Moreover, it has the capability that simply allows users to customize the appearance of the application as well. In addition to being compatible with ePUB, the application also supports many other formats, including Mobi, FB2, HTML and TXT. The application also gives you free access to more than 50,000 classic books from Feedbooks, Gutenberg, and other online catalogs. 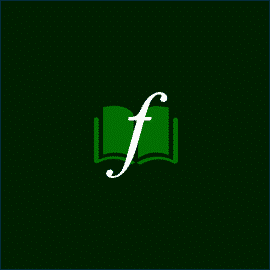 Bibliovore is another great ePUB free reader for Windows computer and the application can be easily downloaded from the Windows application store for free of cost. 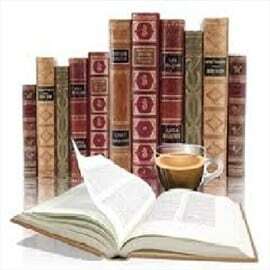 This application offers fantastic organization features that allow to manage large library of books with comfort. The application also allows you to easily adjust font parameters, manage reading themes, edit book metadata, use day/night reading mode and much more. One of its awesome features is that the application also allows you to synchronize all your books on all devices using OneDrive. If you like ebooks, the possibility that you have never heard about Barnes and Nobles is not possible, as it is the largest bookstore in the world and not only that even the Barnes and Nobles is basically an offline store chain. However, Amazon’s success with its Kindle platform made the giant bookseller launch its own online book service called Nook. As with the Nook app, you are not only getting an app to read ePUB books, but also a store to buy them just like the Kobo. 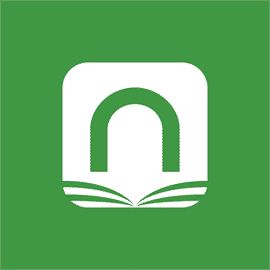 While now if we talk about the features of the application then let me clarify that Nook include the ability to customize your reading experience to view books with different sources, spaces between lines and topics, online synchronization between devices, access to thousands of classics and much more. First of all let me clarify that this well-known app, of course, I am talking about none other than Calibre is one of the oldest and best ePUB readers available for Windows computers. As the application comes loaded with awesome features, as it simply allows to download ePUBs, download covers for ebooks, manage metadata, transfer ebooks from one device to another and even convert ebooks from one format to another as well. 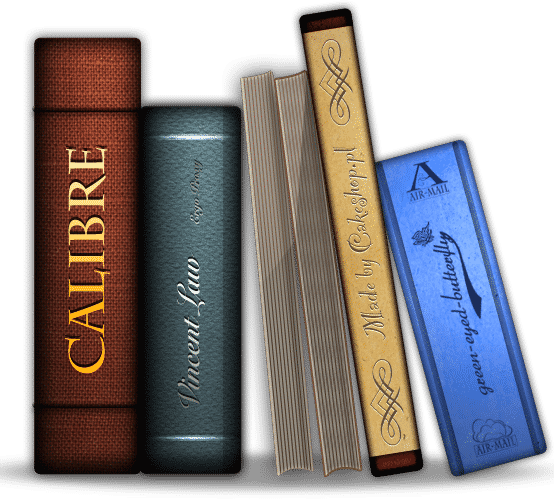 Hence, this well-known ePUB reader, of course, Calibre is not only good for reading normal ePUB books but also magazines, and comics as well. So, if you are looking for a good ePUB reader for your Windows PC, this one is undoubtedly the best option for you. The last but not the least, of course, the EpubReader is the only paid application on the list. 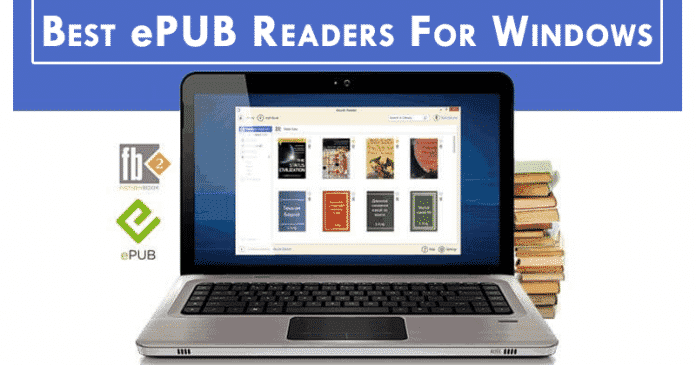 The application is quite simple to read ePUB books on your Windows PC, which also allows you to download books from preconfigured and personal sources, easily manage the library of your book, track the progress of reading and much more. One of the main features of this application is that you can easily transfer your complete library to an SD card or OneDrive. EpubReader is a great application to manage a large library of books without having to store anything on your Windows PC. So, if you are a fan of eBooks then simply check out these applications listed above and tell us your favorite Windows ePUB reader. However, if you want to suggest an application that should be on the list then do not forget to mention the name on the comment section below.